Wanna get flexibility and comfort with your party dress? 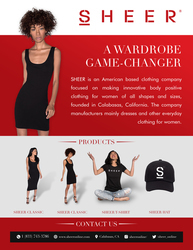 In that case, you should take a look at Sheer's online wardrobe. It holds a variety of one piece that offers versatility, comfort, uniqueness, and confidence. Try out a Sheer dress and be fearless.